After another man was found dead at Buck's home Monday, Lieu distances himself from his donations. 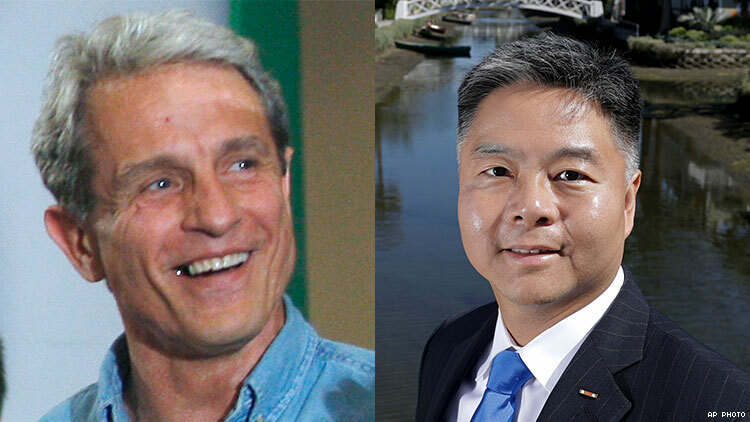 U.S. Rep. Ted Lieu of California is donating campaign contributions he received from controversial funder Ed Buck to organizations working for the civil rights of LGBTQ people and African-Americans. A man was found dead in Buck’s West Hollywood apartment early Monday — the second death in his home in the past year and a half. Buck, a white gay man, has been accused of shooting men up with drugs, with a particular fetish for black men; both men who died were black. However, he has denied any complicity in the deaths and has not been charged in connection with either. The incidents have placed pressure on the many Democratic politicians who have received campaign donations from Buck. Lieu, who represents a Los Angeles–area district in the U.S. House, said Tuesday that he will donate $5,000 each to Lambda Legal and the NAACP, $3,000 each to GLAAD and the Trevor Project, and $2,500 to the Equality California Institute, Wehoville reports. “I am deeply disturbed by the latest revelations of a second death by overdose at the home of Ed Buck,” Lieu said. Gemmel Moore, 26, died of a methamphetamine overdose in Buck’s home in July 2017. After his death, it was revealed that he had written journal entries about Buck injecting him with dangerous drugs. However, this investigation prompted many prominent politicians to return or redirect Buck's donations, including L.A. Mayor Eric Garcetti and Rep. Adam Schiff, reports Fox News. The L.A. County Sheriff’s Department is investigating, and it is also reviewing the circumstances surrounding Moore’s death. Amster said Buck is cooperating with the investigation. Local activists protested outside Buck’s apartment complex Monday night, and several organizations, including the Los Angeles LGBT Center and the West Hollywood city government, have called for thorough investigations of the men’s deaths. The National Black Justice Coalition added its voice today. “It was public knowledge that Ed Buck was allegedly giving young Black gay men harmful drugs long before this second young man died in his home, so I also hope that these tragic events encourage conversation about the fact that the lives of Black gay men are not disposable,” said a statement released by executive director David Johns. A commentary in WEHOville, a West Hollywood-based publication, has also proposed a "call to action" for all politicians who received donations from Buck to return them.